Today’s professionals lead a tough life – a life dictated by the clock. People in professions like software engineering and design lead a sedentary lifestyle combined with high mental stress. Going to the gym everyday alone will not help you stay fit or avoid issues like acidity and obesity. 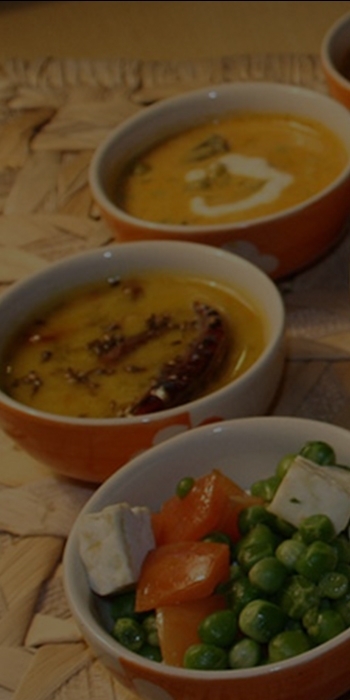 Vegsutra is an endeavour to serve you healthy food that is well-cooked and well-packaged. Our healthy menu aims to make popping vitamin supplements void and bring back the old days of food being prepared and served with passion, when everyday’s meal was a surprise – all for a little appreciation. At Vegsutra, we make the best use of the combined expertise of our team to serve you the freshest and the best tasting food. Indeed, we prepare our food with so much love that it will remind you of home. Welcome home to good food! Shahi subz biryani served with boondi raita. Crunchy lettuce, cabbage, jalapenoes, olives, coloured peppers, corn, tomatoes and onions drizzled with 1000 island dressing. if you are too bored of having chicken and for a change you want to have reasonable veg food then this is the place to order from.. The best is Dal Kichadi!!! Kurla (W), Mumbai – 400070, India. Shop 3, Koli Building 1, GK Marg, Opposite Peninsula Corporate Park, Lower Parel, Mumbai – 400013 India.